At the time it was new, it this was Ozzy’s supposed (ahem) alleged final album. The tour behind this live release was called the “No More Tours” Tour. 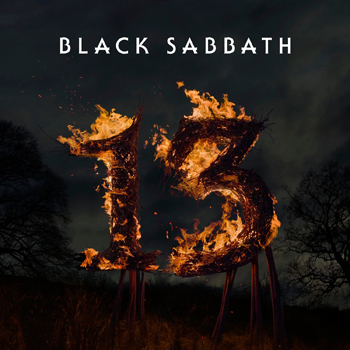 The song Black Sabbath features the original Black Sabbath (Ozzy/Iommi/Butler/Ward) from the 1992 Costa Mesa Reunion shows (playing one song; Black Sabbath), although they played four live (Black Sabbath, Fairies Wear Boots, Iron Man and Paranoid). In April 2002, this album was deleted from the Ozzy catalog and is no longer being made. However, it was since re-released in Japan in 2007. Not sure why. 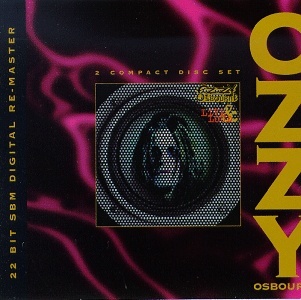 I Thing the reason this, “Just Say Ozzy” and “The Ultimate Sin” were deleted is due to a royalty dispute with Phil Soussan over the song “Shot In The Dark”. 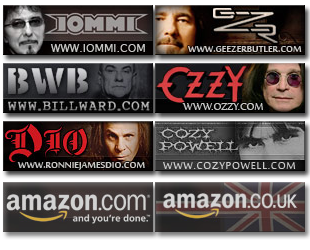 I guess Ozzy (or Sharon) would rather not sell any albums than have to pay a cut. Speak of the Devil was dropped too. Couldn’t be the same reason. Hi, i have this album on double pack CD with the speaker grill front. Can you tell me if the video, cassette, dvd or laser disc had the same metal speaker front on them please. The DVD was released with a regular cover, don’t know anything about VHS or laser disc releases. The VHS had the metal speaker cover. Commander Cyclops is correct about the albums being deleted. Joe Croce – Speak was dropped because a) Ozzy hates it, & b) the reunion with Black Sabbath. love this album except that War Pigs sounds dreadful compared to Just Say Ozzy.